Cowboy says “THANK YOU” to his friends who crossposted, shared, donated & who continue to send well-wishes his way. Thanks to each of you this sweet boy will get to go in for his surgery Thursday as planned! Yippee! We will keep you posted on how he does through recover – we know Cowboy has a lot of friends cheering him on! For now, please continue sending well-wishes for a perfect surgery & easy recovery period. 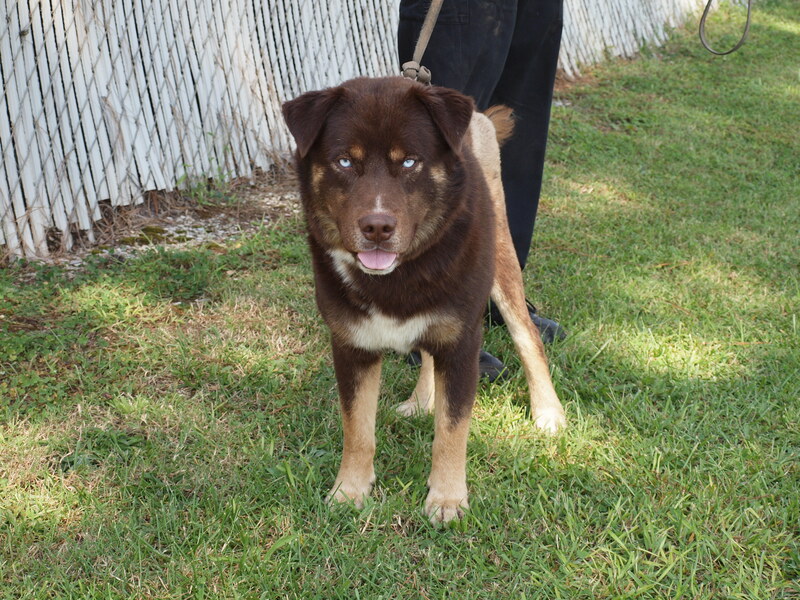 This stunning boy is a 1-2 year old husky/lab mix (our best guess). At first glance you might think that his stunning blue eyes are his best quality — they’re not. Keller is a L-O-V-E M-U-F-F-I-N! Keller had a broken rear leg when he first was rescued so he had to go through an orthopedic surgery – thankfully with a short-term pin in his leg Keller’s bones have healed! He gets his pin out in two weeks and then will be raring to go. Even now, that pin doesn’t slow him down — Keller walks and even runs on his formerly broken leg! The only way you would ever know he’d had surgery is because his hair is still growing back. Keller loves to go for walks with his foster momma, and splashing into mud puddles and water pools is his *favorite thing ever*. He is truly the kind of pup who would fill ANY home with lots of joy. If you are interested in fostering or adopting Keller, please email us at bonniebluerescue@gmail.com for more info! than fat little puppies snuggled up together? We just grin and grin every time we see these sweeties snuggled up in luxury. It’s that time again! We need foster family help! We are in need of foster families starting THIS weekend (August 11/12) for Franklin & Grover! We are also in need of foster families starting over the NEXT 2 WEEKENDS (August 18/19 & 24/25) for the lab/basset mix pups & Benita. We have some amazing pups that need to be moved out of the south, but we are going to have to move them into boarding situations if we cannot find short term fosters for them. Eeek! Even a two week foster commitment would be a huge help to us to allow us to keep these cuties out of boarding and secure longer-term foster families for them. 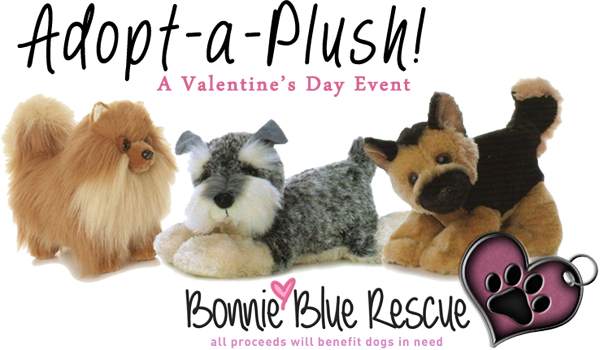 Bonnie Blue Rescue can provide crates, toys, chewies, collar, leash, ID tag and will cover all medical needs for these cuties. We just ask that you provide food and love (& we’re even willing to cover the food, if needed!). 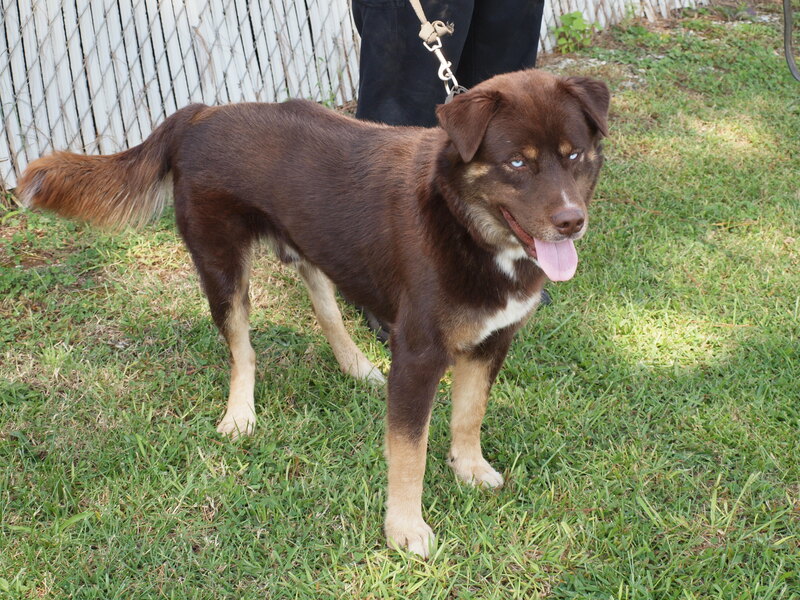 Grover (HAS FOSTER/NEEDS ADOPTER) is a totally adorable red/chocolate catahoula mix boy. He is 3 months old. 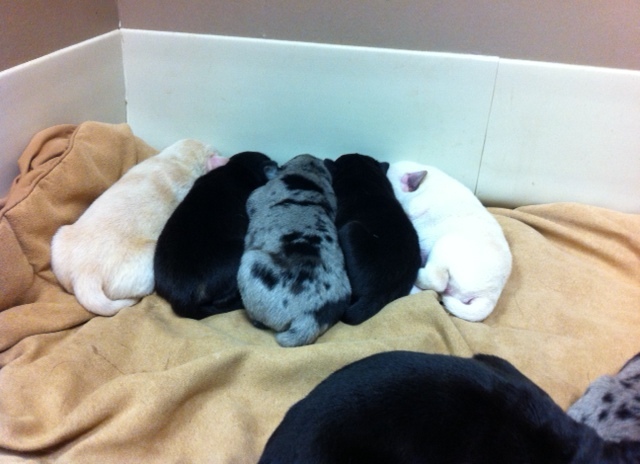 Grover and his littermates were rescued from a high-kill shelter in rural Louisiana just in the nick of time. 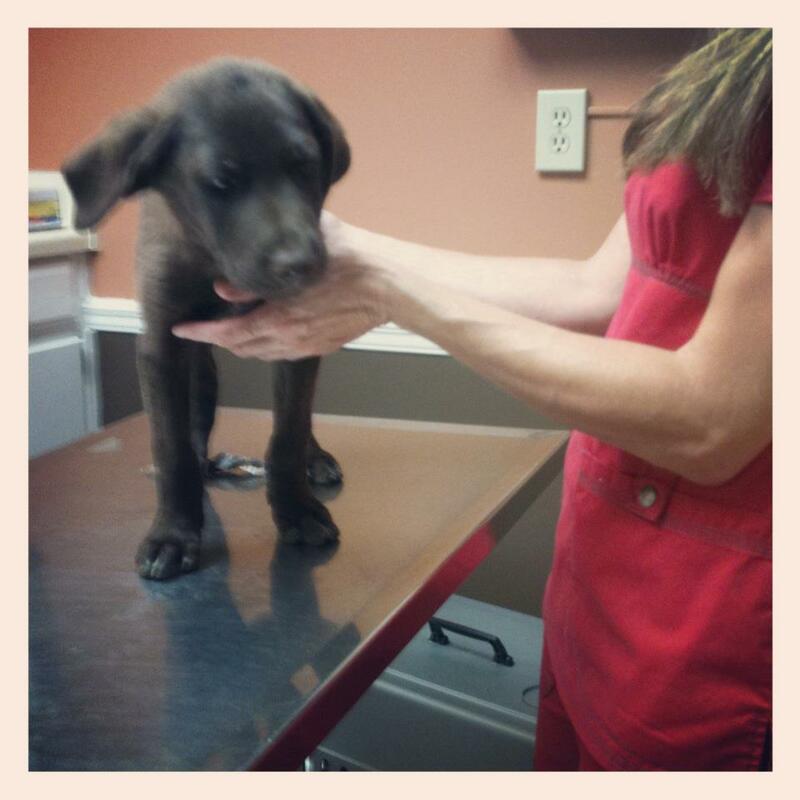 Sadly, Grover ad his littermates all got parvo but after some 24/7 vet care this sweet baby boy is back to 100%. 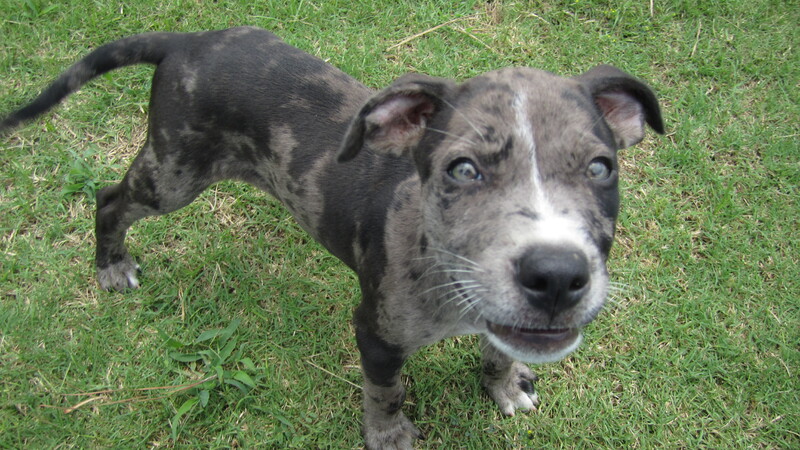 He is totally healthy now and is just a normal catahoula mix puppy – happy, spunky, and sweet as can be. 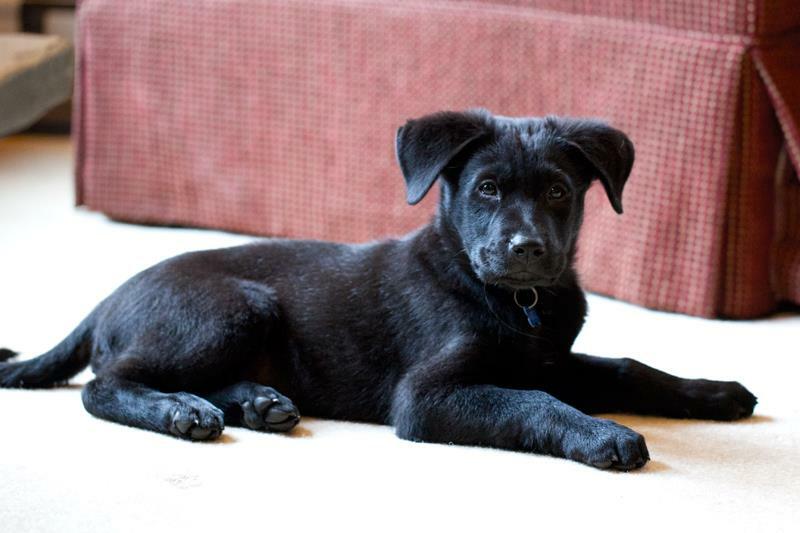 Grover is doing very well with housebreaking and cratetraining. 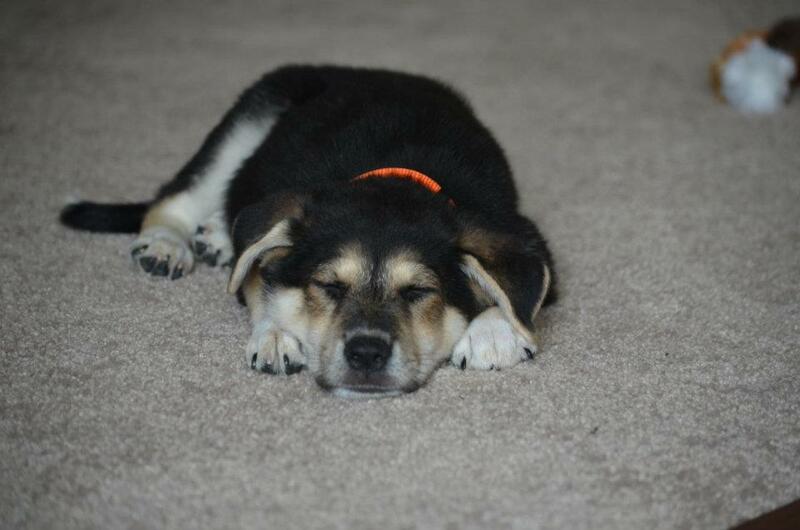 He is awesome with the other dogs in his foster home and with his foster kitty siblings, too! 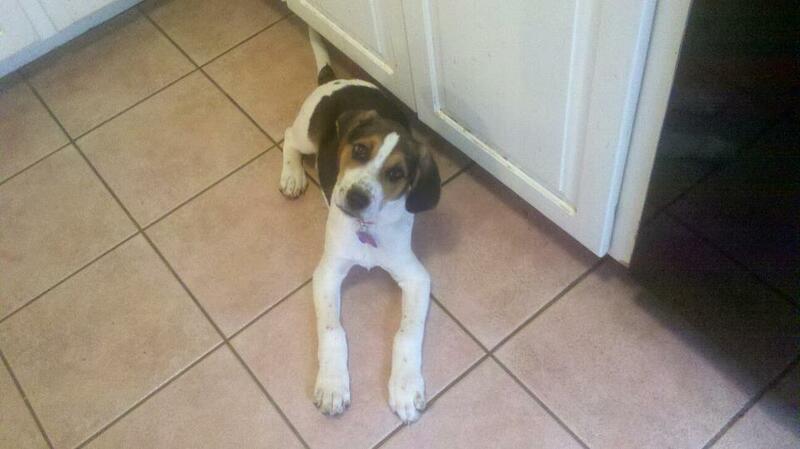 Grover has a foster family lined up – thank you Kimberli & Stacia! Franklin (HAS FOSTER/NEEDS ADOPTER) is Grover’s brother! 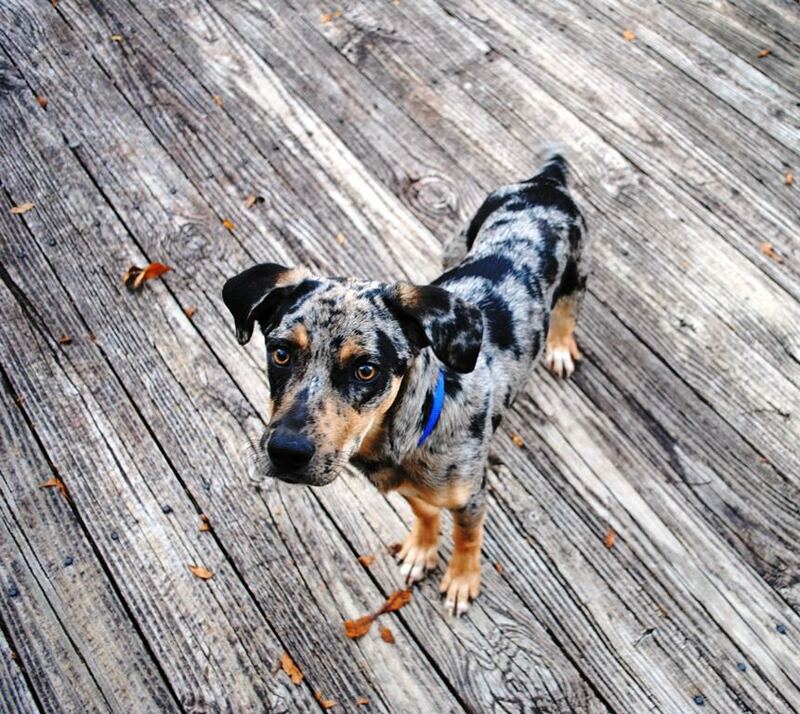 He is a blue merle catahoula leopard mix boy who is just as spunky, sweet, and social as sweet Grover is. Franklin is also doing very well with housebreaking and cratetraining. He is awesome with other dogs of all shapes and sizes, cats and horses, too! Franklin is such an amazing boy with a big heart. Franklin has a foster lined up – thank you Devon! 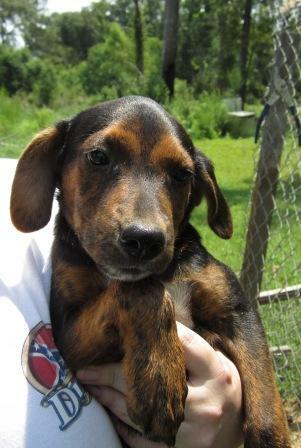 Nestle (NEEDS FOSTER/ADOPTER) is an 11 week old Lab/Bassett Hound mix boy who is all love and snuggles. Nestle and his littermates have been living in an outdoor kennel in Alabama and they are ready to find foster families so they can learn all about cratetraining, housebreaking, and being indoor pups! Nestle loves snuggles, pets, and just to be loved on. He is going to make an exceptional forever pup for someone! Nestle needs a foster family starting 8.18.12. 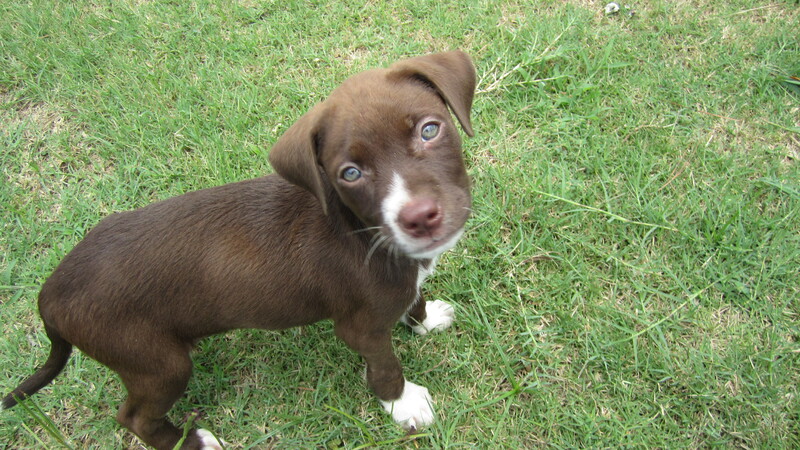 Skittles (ADOPTED) is the cutest little lab/bassett (& maybe catahoula leopard dog) mix girl. 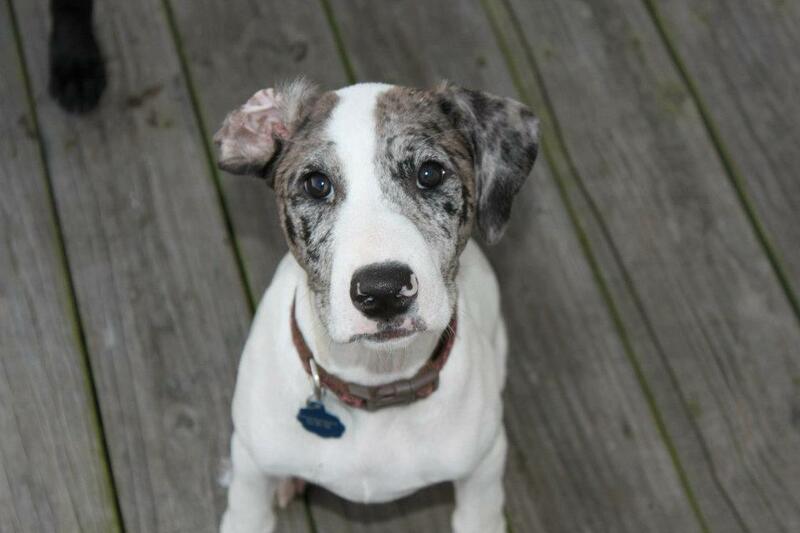 She is 11 weeks old and has amazing coloring — much like that of a sable merle catahoula. So cool! Skittles loves people and runs right up to greet her new friends. She is very playful with her littermates and loves to eat! Skittles has a FOREVER FAMILY lined up! Yay! Congrats, Rachel! 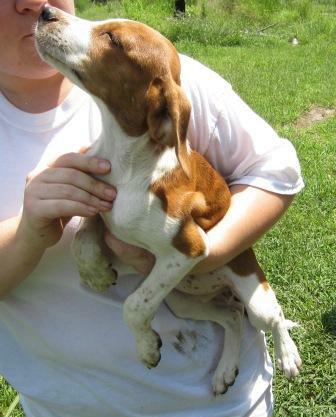 Peppermint (NEEDS FOSTER/ADOPTER) is a darling lab/bassett mix girl. Peppermint is 11 weeks old and all love and kisses. She is very sweet and is eager to please. Peppermint loves people and adores being snuggled and held! 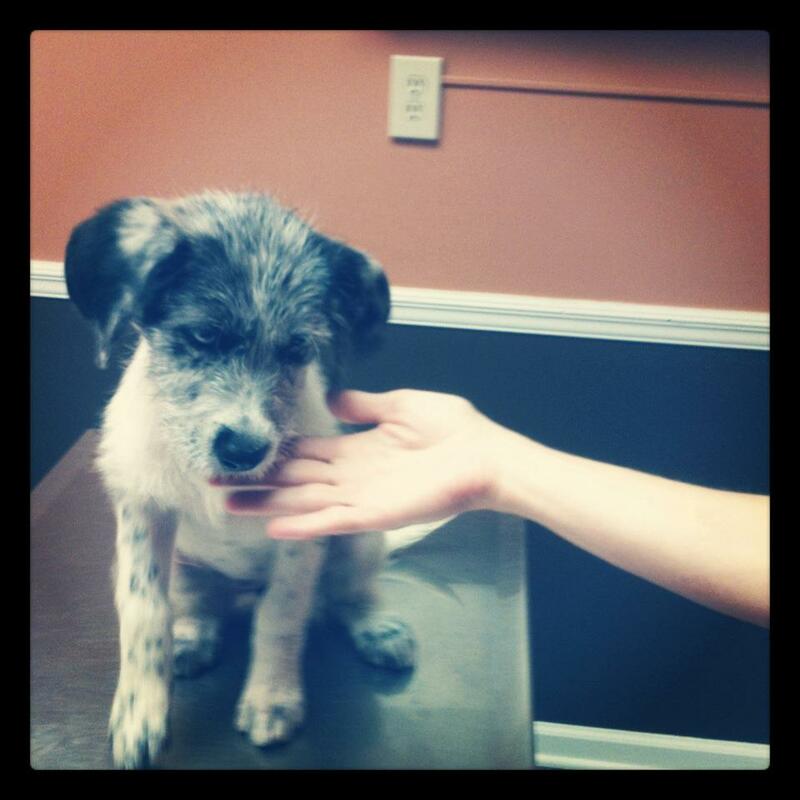 Peppermint needs a foster starting 8.18.12. 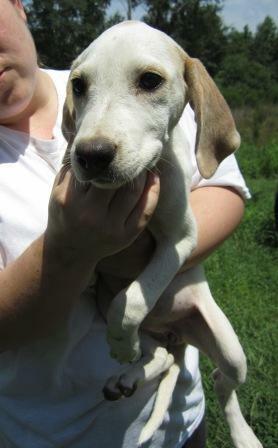 Cinnamon (ADOPTED) is a sweet little lab/basset hound mix girl who is 11 weeks old. She is all snuggles & love and loves to give kisses to her new human friends. 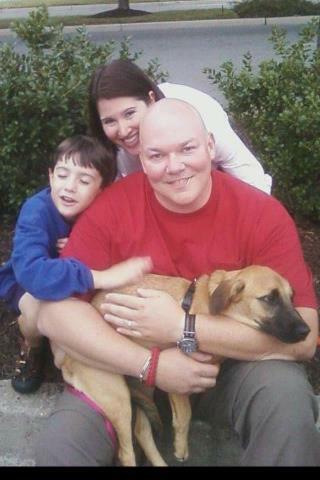 Cinnamon has a forever family liked up – congrats Mike! 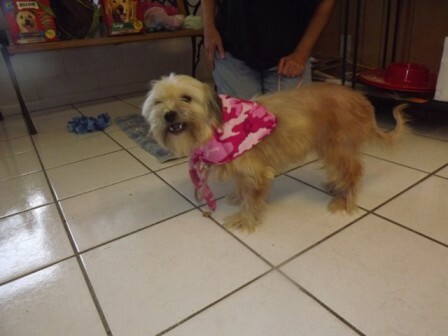 Benita (NEEDS FOSTER/ADOPTER) is a adorable shaggy little mix breed girl. She is 2 years old and 20 lbs – the vet thinks that she is a shih-tzu/terrier mix! Benita already knows some basic obedience like “sit” and “come”. She is well-mannered and is an all around gentle girl. Benita would be great in a home with kids! Benita needs a foster home starting 8.24.12. Snickers (HAS FOSTER/NEEDS ADOPTER!) 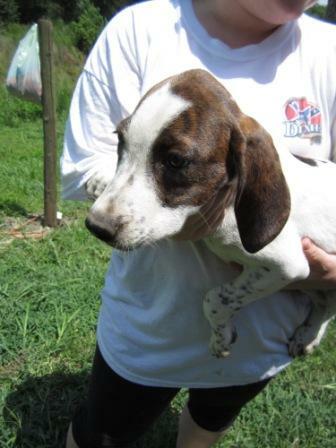 is a male lab/bassett/catahoula mix boy who is 11 weeks old. Snickers is soooooo sweet. Snickers is excited to make it to foster care and to become an indoor pup. He is also ready to find a family of his own to spoil him to pieces! Snickers has a foster home lined up – thanks Elise! Snickers still needs an adoptive home! 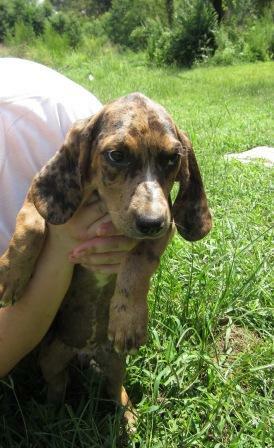 Pixie (ADOPTED) is a gorgeous black and tan lab/bassett mix girl who is currently 11 weeks old. She and her littermates are currently living in outdoor runs and are very excited to make their way to rescue and learn all about being indoor dogs. Someone mentioned A/C to Pixie & she was VERY excited about this A/C stuff she hears so much about! 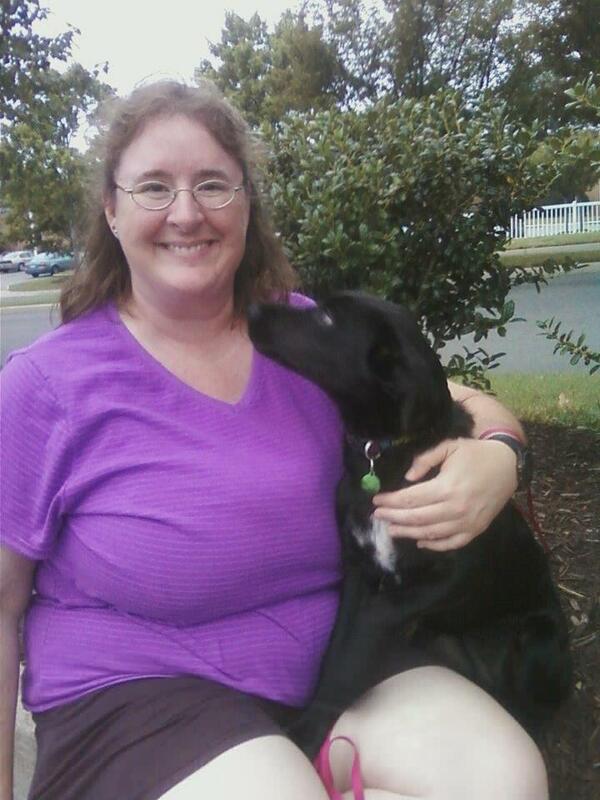 Pixie has a forever home lined up – Congrats Kathleen! 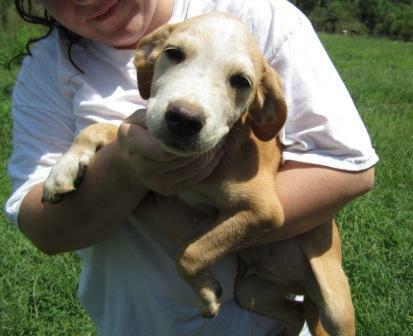 Hercules (NEEDS FOSTER/ADOPTER) is another lab/basset mix puppy and is the biggest boy in his litter. He’s still walking on short legs … but he has a large body. So if you are looking for a lazy, mellow, chubby guy – look no further! Hercules has a gorgeous brindle trim on part of his body. 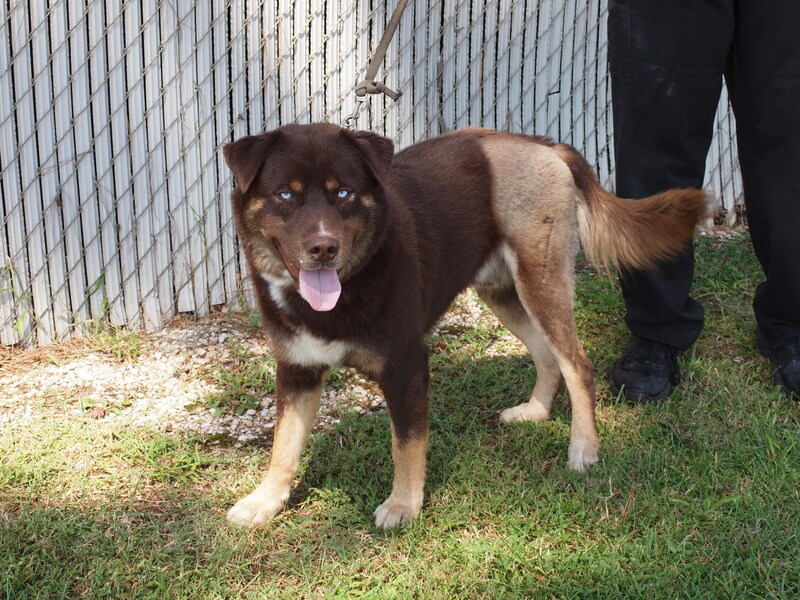 Hercules is in need of a foster family (or forever family) starting 8.24.12. The best part of rescue? Thought you all would enjoy these sweet photos of Poppy & Indiana meeting their forever families this weekend. Another HUGE thank you goes out to all of the sending fosters, rescue friends, transporters, crossposters and overnighters for helping these babies make it H-O-M-E this weekend. 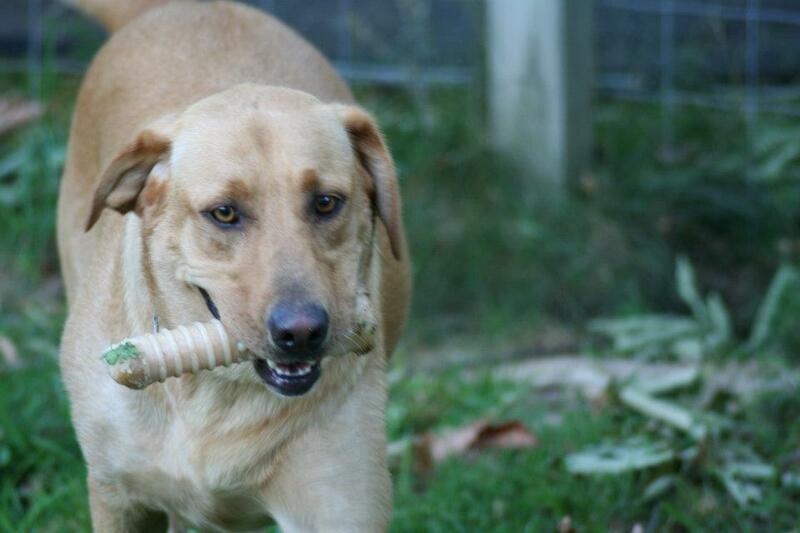 This gorgeous purebred Labrador Retriever girl is just waiting for her perfect forever family to come and find her! Gigi will be 3 years old in October. The first few years of her life were not the easiest … but things have gotten much, much better since then. Gigi was bought by a family who were “not dog people” (by their own admission). They had a young daughter who wanted a puppy, so they got her one. The daughter played with Gigi for a little while and then grew tired of her. When the girl didn’t want to play with her anymore, Gigi got stuck in an outdoor pen behind the house — and the family rarely interacted with her after that. She received basic vet care, thankfully, but missed out on being a cherished member of the family. Amazingly, none of this less-than-ideal treatment early on has phased Gigi. She is still a happy-go-lucky typical lab girl. Eager to please, thankful for love. Gigi’s foster mom describes her as a wonderful girl. She has never had an accident in the house, sleeps on a dog bed next to her foster’s bed and has not chewed on anything that she was not supposed to. Gigi is very excited about nylabones! The first few days that she was in her foster home she was so excited to have a nylabone that she tried to eat her meals WITH the bone in her mouth. Sweet girl! 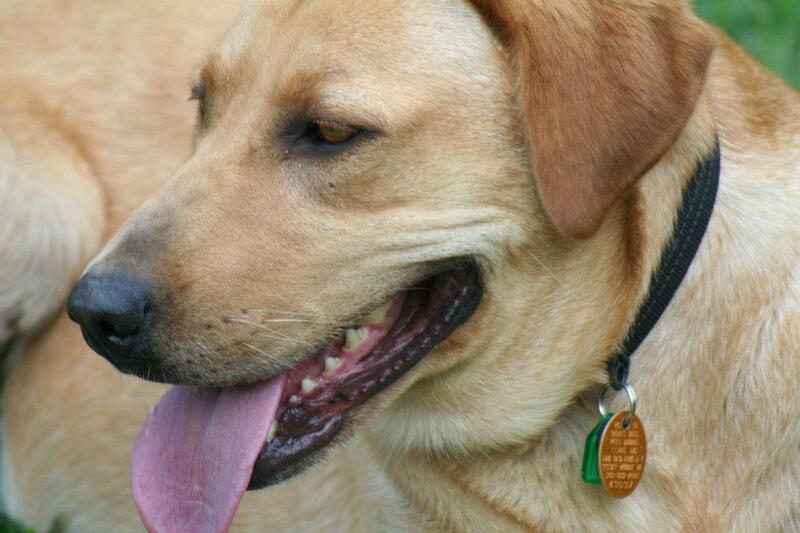 Gigi is also very smart and always happy and wagging her tail. Gigi is very motivated by human interaction and love (& nylabones!). If you are looking for a pup to brighten your heart and home — look no further. 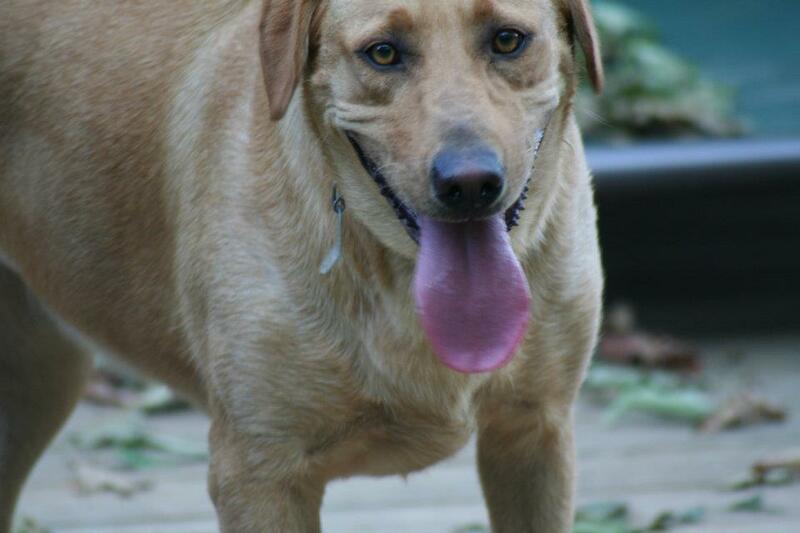 This happy, funny, sweet lab girl is the one for you! Email us at bonniebluerescue@gmail.com for more info on Gigi! 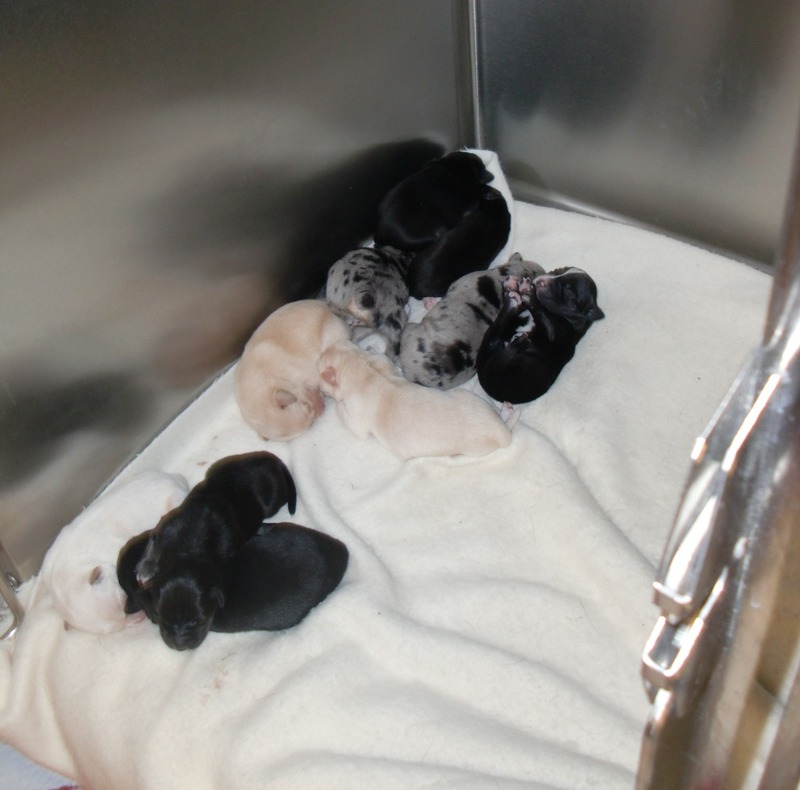 Micah & Sapphire (Precious Gems Litter) Update! Sweet Micah & Sapphire went in for a checkup today & got a great bill of health! Their vaccines are boostered, they have been dewormed again and next weekend … they will get to head north to foster homes. Woohoo! Thought you all might enjoy seeing how BIG and healthy these babies are now. 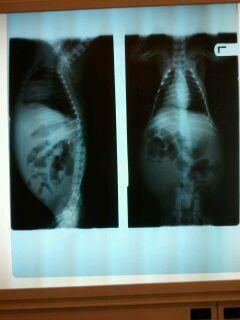 Micah weighed in at 11 lbs and Sapphire weighed in at 12 lbs today! Interested in fostering one of these cuties? Email us at bonniebluerescue@gmail.com for more info. As most of you already know, 5 of our Precious Gems have already crossed over Rainbow Bridge. Jade, Coral, Ruby, Jasper & Peridot are still so loved & absolutely not forgotten. The 3 Precious Gems who have made it – Micah, Sapphire & Amber – are tough, sweet, spunky babies. Micah and Sapphire are totally back to normal – racing around their foster home, getting into trouble, and eating/drinking/pooping normally. Thank Heavens! Miss Amber is still a bit puny, but we definitely feel as if she has been on the mend, too. Amber went to the vet for a checkup today as she had developed some upper respiratory symptoms that she just couldn’t kick, even with the mega doses of antibiotics that she has been on through parvo treatment. Our primary concern was that she might have an upper respiratory infection and we did not want it to develop into pneumonia. A check by the primary vet and an x-ray & EKG confirmed that Amber does not have pneumonia. 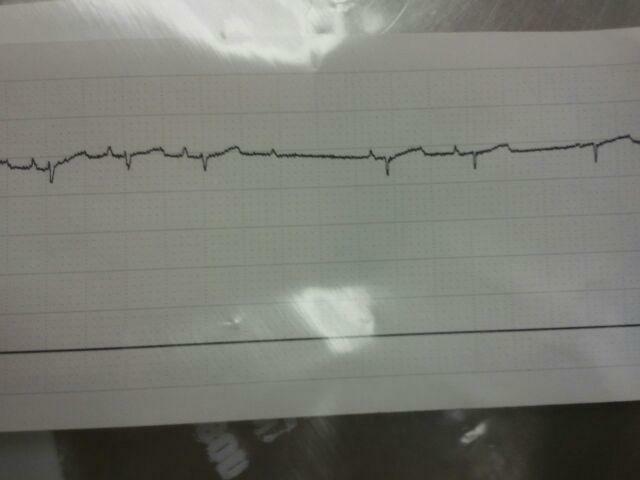 Unfortunately, it appears that she has a dysrythmia called a heart block (this means that her heart skips a beat). This type of heart failure is often a side effect of parvo in young puppies (Jade & Ruby also had symptoms of heart failure before they passed). In Amber’s case, the top of the heart beats but the bottom (which is what does the blood pumping) does not work as well. This makes her heart really inefficient. Unfortunately Amber’s case is not exactly cut-and-dry. We talked about the option of going ahead and having her humanely euthanized, but the truth is that she feels so much better that she has in the last few days. She is bright, happy, sitting up and walking on her own, wagging her little tail, eating, drinking and even pooping normally. There is a chance that despite our best efforts, we will still lose this little girl. But there is also a chance that she could live. Amber might need heart meds for the rest of her life, but we feel certain that we can find an extra special home for this extra special girl if she can get past this. After speaking with the vet and her treating foster we made the decision to go ahead and give this baby girl a chance. She is starting on some heart meds today (vetmedin & benazepril) to help make hear heart more efficient, and is also on a stronger antibiotic. We are close to our goal on the Precious Gem puppy’s ChipIn, and are so thankful to Saige and her vet for working with us to be able to treat this entire litter at a SIGNIFICANT discount. Actually, thankful doesn’t even begin to explain how we feel — humbled & overwhelmed with gratefulness is more like it. Donations can also be mailed in – just email us at bonniebluerescue@gmail.com for our snail mail address. & THANK YOU: to each of you who have prayed for, sent positive vibes for, donated to, or asked about these babies – thank you! We are so thankful to have been able to bring this litter into rescue and to love on them as much as possible before they came down with parvo. Even when sick, we feel thankful to have been able to provide the best possible care to each of them thanks to your donations. Again, thankful doesn’t even begin to describe how we feel. But thank you! It’s officially the worst rescue week (or two weeks) that Bonnie Blue Rescue has ever have. So bad, in fact, that it’s hard to know where to start. 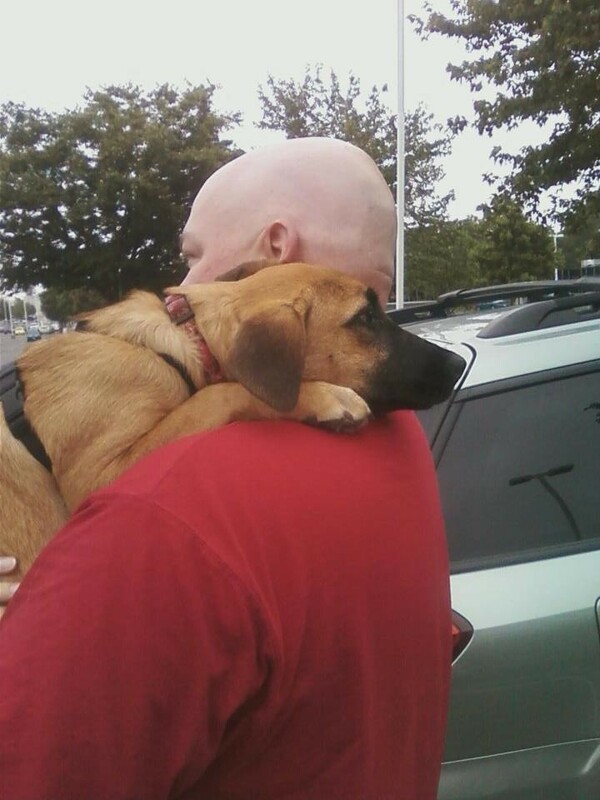 We love what we do – rescuing pups, fostering them, loving on them, putting families together – it’s the best. But weeks like this really stop you in your tracks. In the past week we have been hit with more emergency veterinary bills than ever before. All in one week. We are close to $10,000 in the hole overall; and this is before we factor in Fritz’s urgent care bills for the next few days AND Flash’s neurologist emergency care bills from tonight/tomorrow. We have no idea how we are going to make that amount up. Even on our best fundraising days, that is an incredible amount to have to raise. It is likely that our rescue will never be able to bounce back from these devastating veterinary bills. We hope to be able to pay off our substantial debts and bring more dogs into rescue again one day, but for now we have to focus on fundraising for the pups that we have already committed to and doing whatever we can to get them healthy. We are shutting down intake at Bonnie Blue Rescue indefinitely. We will not be pulling any additional dogs for rescue, taking in any owner surrenders, or assisting other rescues by taking on their dogs. We will, of course, stand by the dogs were currently have in rescue and continue to working on rehoming, fostering, and finding the best fit for each of the pups currently in rescue. Over the last two years, we have averaged rescuing 18-20 dogs per month. It is devastating to realize that that many pups per month will not make it out of the shelter while we work on fundraising for our emergency bills. Heartbroken doesn’t begin to explain how we feel. If you are interested in chipping in, our most urgent needs are assistance with Flash & Fritz’s emergency vet care. 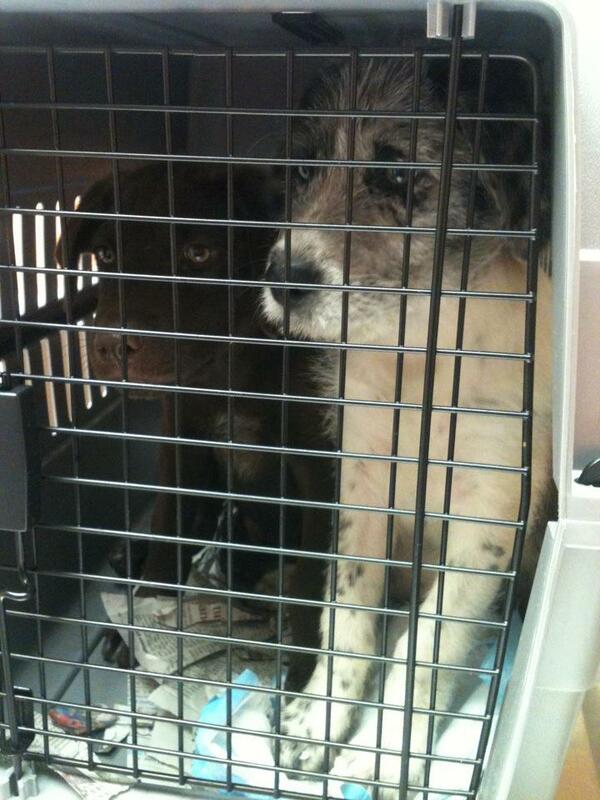 Both boys are currently in round-the-clock care; Fritz with parvo and Flash with seizures that are not stopping. If you would like more information about each of our pups & what’s going on with them — please keep reading. One of our very special adopted pups, the Duke of Cadbury, passed away very unexpectedly over the weekend. His family is just devastated, and our hearts are broken with them. We are so thankful that he found his forever family and got to spend a few amazing months with them before crossing over Rainbow Bridge. Rest in peace, sweet Duke boy. Sweet Tootsie from Louisiana came down unexpectedly with distemper this weekend, she was humanely euthanized over the weekend. We are crushed for her foster family and the adoptive family who will never get to meet this extra special girl, but we are so, so thankful that she got to spend three weeks in foster care learning all about being LOVED. 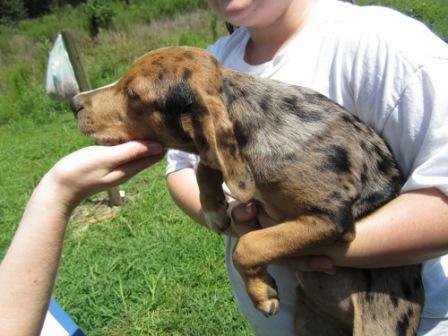 Several other BBR pups in Louisiana are showing upper respiratory symptoms. We are beyond hopeful that it’s something as simple as kennel cough, but are getting each of them in for distemper testing this week. We cannot take any risks. 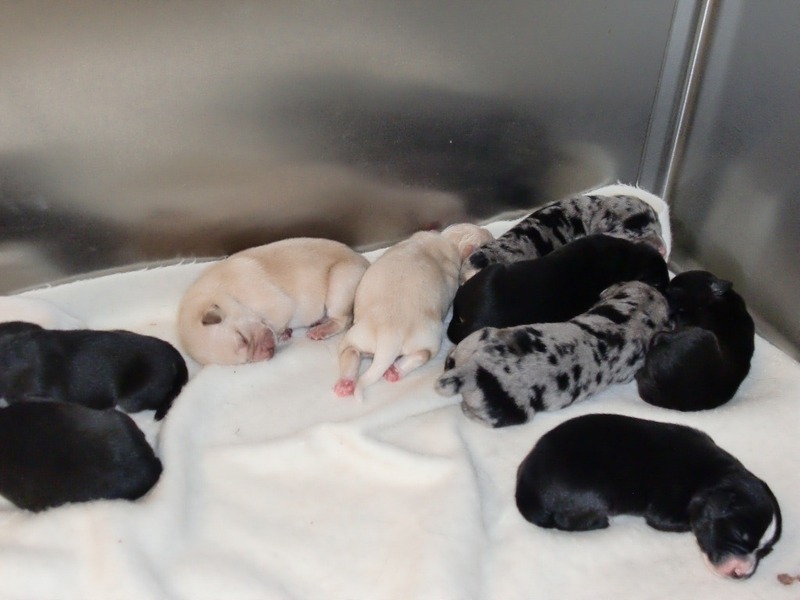 We have said goodbye to Jade, Coral, Ruby, Jasper & Peridot, 5 of our Precious Gem puppies over the last week. Thankfully the other 3 pups from this litter seem to be really on the mend. They are walking around, playful and are starting to eat again. Yay! Don’t get us wrong – good things are happening, too. We’ve made some amazing puppy placements over the last few weeks & we have even more pups heading to forever homes this weekend. We have shy pups who have come out of their shells this week, dogs finishing heartworm treatment and feeling great, and sick puppies who are finally starting to bounce back. We try to focus on the good as much as we can, but this bad week has really beaten us down. I think I can speak for most everyone with Bonnie Blue Rescue when I say that we don’t want to end on this note. We love rescue – we love what we do. But financially, we cannot keep it up like this. Can you help us dig out from under this enormous emergency vet bill debt? Donations of any amount are always greatly appreciated. If you’d prefer mailing in a check to snail mail, just email us at bonniebluerescue@gmail.com and we’ll send our mailing address your way. And please, consider sharing our story, blog post or facebook post with family, friends & coworkers. You would be amazed to know how much of an impact crossposting really makes. Thank you in advance for your continued support and willingness to help us get the word out on our super sick pups.